Believe it or not, the Emergency Department does not live to make blood bankers nervous! In fact, we share the same goal: Save as many lives as possible. Dr. Scott Weingart from EMCrit.org joins us for a frank discussion on how our two areas interact. 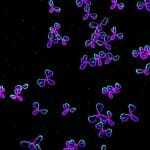 Those of us familiar with life in a hospital transfusion service know all too well the surge of energy and activity that accompanies words such as those above (or whatever variant is used in your particular hospital). Trauma cases are just one of the many interactions between blood banks and emergency departments that can, if we are not careful, lead to major conflicts and negative interactions. However, it does NOT have to be that way! Have I got a Guest for You! 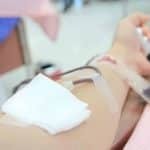 This episode of the Blood Bank Guy Essentials Podcast is an interview with a world-renowned Emergency-Critical Care physician. 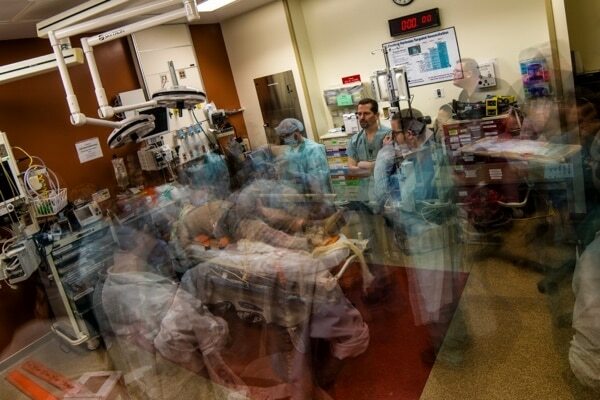 Dr. Scott Weingart is the host of the most popular medical podcast in the world, the “EMCrit Podcast,” and he blogs and interacts through his excellent website, EMCrit.org. Scott, a master educator, is passionate about caring for patients in dire situations as aggressively as possible, including the appropriate use of blood products. Scott and I connected recently to talk about a wide array of topics, including trauma, intracranial hemorrhages, and blood refrigerators in the ED! All of that is essential, but one other thing: Scott and I believe that with just a little bit of extra effort from both sides, our interactions with the Emergency Department not only don’t have to be negative, but in fact can be really positive! Enjoy the episode, and don’t forget to leave your comments below! In addition to the above BBGuy Essentials episode, I was honored to join Scott for an episode of his hugely popular EMCrit Podcast! 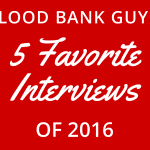 I outlined some essential blood banking facts with Scott and his listeners. You will enjoy hearing it (I hope!). Click here for the EMCRIT Podcast, Episode 202. Scott Weingart, MD, is an ED Intensivist from New York. He went to medical school and did emergency medicine residency at the Mount Sinai School of Medicine. He did fellowships in Trauma, Surgical Critical Care, and ECMO. 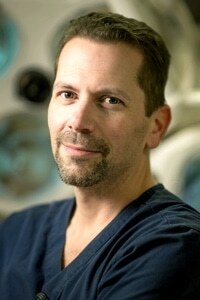 Scott is best known for talking to himself about Resuscitation and Critical Care on a podcast called EMCrit, which has been downloaded over 20 million times and is, as far as we can tell, the most popular medical podcast in the world. DISCLAIMER: The opinions expressed on this episode are those of my guest and I alone, and do not reflect those of the organizations with which either of us is affiliated. Neither Dr. Weingart nor I have any relevant financial disclosures. Featured image credit: Mike Beck (https://www.flickr.com/photos/mikegyver8), courtesy Dr. Scott Weingart. Highly recommend that you check this one out for more details on the incredible rapid infusion process for the blood we send to the ED. EMCrit Podcast 144: The PROPPR Trial with John Holcomb; Hear a discussion with the lead author of the largest study done to date on the “1:1:1” ratio of transfused products that has become standard of care in trauma resuscitation. EMCrit Podcast 71: Critical Questions on Massive Transfusion Protocols with Kenji Inaba; Lots of discussion on issues surrounding massive transfusion (recorded prior to the release of the PROPPR trial). When we give out Emergency Release we require 2 patient identifiers,this includes the patient’s name (even if it’s “John Doe”) and preferably the BB armband. 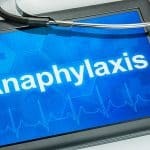 The ER physician seemed to suggest that is omitted in the call from ER to BB to send a stat pack. Also, do they just call the BB or do they send a product request form? We have had issues with one name being given via phone call and another name on the product request. Computer order goes in for that stat pack, which has name, mrn, dob etc. If computers are down, form with patient sticker is hand delivered. We can preregister patients as unknowns to avoid waiting to figure out who they are. So they are assigned a name and MRN. They hold on to this name and number until they leave the ED even if we figure out who they are. Thank you. Your system makes sense. We are a non-trauma hospital, about 300 beds. We don’t have a stat pack, we just Emergency Release whatever products the Physician wants, usually 2 O neg RBCs. 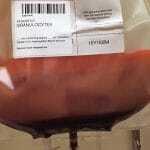 We do keep a few units of 5 day thawed plasma available to decrease TAT in crisis. Great pod cast! I enjoyed it. Definitely have a better understanding, at the same time I hope MDs and the medical staff that work directly with the patient understand thay every patient is different and not every patient needs blood. Coming from a blood center and as a blood bank I see the challenges that we face daily with shortages of blood , particularly O Neg , and donors! 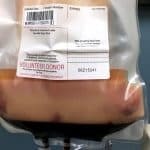 Hospital and the majority of the medical staff,including techs, forget that blood products come from individuals that make an effort to go and donate and not from “artificial” production. I will like to see more people like you and your guest that have passion and love their profession so things can improve for the benefit ad the patient. THANK YOU for doing this ! Karen, I think one of the biggest take-homes from this episode for me is how scientific the process is! These docs are not just flying by the seat of their pants. 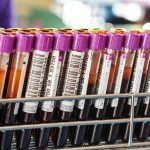 Yes, you will hear Dr. Weingart talk about “gestalt” in this episode, but he also talks about specific indicators for predicting massive transfusion. I believe that most physicians doing critical care and trauma understand very well that we are dealing with a limited resource in blood products. I think what we have to understand is that they are also limited by the scarce resource of time (they don’t have much of it to waste, and they need to transfuse in effective ways quickly to resuscitate the patients). Bottom line: This gets better when we talk to each other, NOT in the heat of the “battle” but when we have time to be calm and understand each other! I put a blood fridge into my hospital’s ED about 3 years ago which has 4 units of group O blood but also 6000iu ( 2 maximum doses) of 4-factor PCC. Up until last year we were a major trauma centre and seldom was a massive haemorrhage protocol called as the patient was generally able to be stabilised without large quantities of blood components being required. With the immediate access to red cells and reduced wastage considerably and gave the clinical staff a sense of security and gave the laboratory a less-pressured environment to provide additional components if required. With PCC also being available it meant there was also no delay in getting this product to the warfarin used patient. The consultant clinical staff were the only medics to be given access to the fridge which works extremely well. I fully support the idea of this type of facility in a major ED. I think Dr. Weingart will like your comment, Peter! Out of curiosity, in what country are you located? I haven’t seen many places putting PCC in an ED fridge. Royal Liverpool University Hospital, UK. I also look after another laboratory in a Women’s Hospital (obstetrics and gynaecology) which is supported out of hours from another hospital. 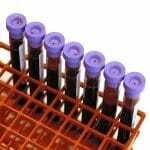 They have 12g of fibrinogen concentrate alongside their group O red cells which has ROTEM-guided use. Again, this reduced massive FFP wastage as more major haemorrhage protocols were called due to the response delay as the hospitals are 15 minutes apart. Very interesting, Peter. Thanks for the info. FBG concentrate isn’t yet a routine option for us in the States (though it’s approved, just not yet for acquired hypofibrinogenemia). I admit that I’m a little surprised that activation of your MHP (MTP here in the states) was so uncommon. Firstly, fibrinogen concentrate is not licensed for acquired hypofibrinogenaemia use in the U.K. but has been used in a trial of major obstetric haemorrhage in this hospital. Regarding your comment on MTP activation, it is more likely to be activated in penetrating injury rather than blunt force trauma where access to single unit red cell transfusion appears to be sufficient for the clinical staff to stabilise the patient without the need for MHP (MTP) activation. Joe do you have any literature regarding “stat pack”. I have been trying to get my facility to initiate a policy between trauma units and mtp? I don’t, Chris, but I can ask Dr. Weingart if he does. Joe, I too would be most interested in any Stat Pak protocol/procedure as well for our small hospital if Dr. Weingart is willing to share. 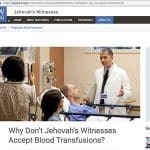 This podcast was fascinating-should be required listening for all blood bankers to see the ED side of things! Do you have any experience using Liquid Plasma. Our transfusion service is looking into keeping this product on the shelf to lower our wastage when keeping thawed plasma ready at all times. Yes, Cherie, I have experience with Liquid Plasma (to be clear, this is the “never-frozen” plasma product, not the recently thawed plasma product). LP has a 26 day shelf life, and many centers use it as a “bridge” product until freshly thawed plasma is ready. I don’t think many would argue that LP is better than a plasma product that has just been thawed, but there is data to suggest that it MIGHT be better than plasma thawed several days ago (see this and this). The obvious additional benefit is a 26 day shelf life as opposed to the 5 days we get with Thawed Plasma (though one of the previously linked articles suggests that LP might be better limited to 14 days as opposed to 26). Not all blood centers are making it, so check yours to see if the product is available before you even consider it. This was an excellent podcast and it was amazing to hear as I used to work at the center Dr. Weingart used to be an attending at here in NYC. I can finally put a face to the voice I reported critical calls to! I plan to mention his idea of having a STAT pack of products to the upper management at the current facility I am at because it can bridge the small gap of an MTP being activated or not. We already have an MTP in place that works well, but the STAt pack can reduce pseudo-MTP’s. Currently, there are refrigerators in monitored locations but the STAT pack can be used in other areas where the patient can be stabilized if there is some oozing or symptomatic anemia occurring. 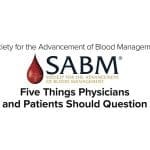 I hope all blood bankers can take the time to listen to this podcast to better understand the dynamics in trauma situations and how important it is to have a productive relationship with trauma physicians to treat our patients. Thanks for listening and for taking the time to comment, Aihesha! There is definitely a lot to learn in this episode, for all of us. I hope that you got the chance to listen to Dr. Weingart’s interview with me for his podcast (you can find that here: EMCrit.org/202); if not, check it out.